True albino moles are extremely rare and it has been suggested that they occur at a ratio of 1:100,000. The estimated population of moles in the UK is said to be 40 million. Therefore the percentage of albino moles in a population of 40 million is 0.001%, which equates to 400 albino moles in the UK! A true albino mole occurs, due to a congenital lack of melanin which affects pigmentation. This disorder is known as albinism. Albino moles are pure white and have pink eyes. A long held suspicion said that if a mole catcher caught an albino mole, the mole would foretell his own death. Another condition, often mistaken for albinism is leucism. Leucistic moles are often beige or golden in colour and may have darker features on their fur like the one shown in the picture above. This has occurred, because cells which produce pigmentation have not functioned at their absolute level. Between the spectrum of the common black mole and the rare albino white mole, is another less common occurance called erythrism. In this instance, cells producing black pigmentation mutate to cause orange coloured fur that can be variable, or cover the whole mammal. When the young leave their mothers nest at around 5 weeks old, they have to travel above ground to search for their own territory. Moles rarely come above ground, so they are at risk of opportunistic predators including owls and weasels. Being any colour, other than black, ensures they are not camouflaged in the darkness of the night and are therefore, an open target. For this reason it is impossible to determine the true number of moles that are born with a genetic mutation, since most will perish, unrecorded. At British Mole Catchers we continue to work and collate data in order to further understand mole behaviour. 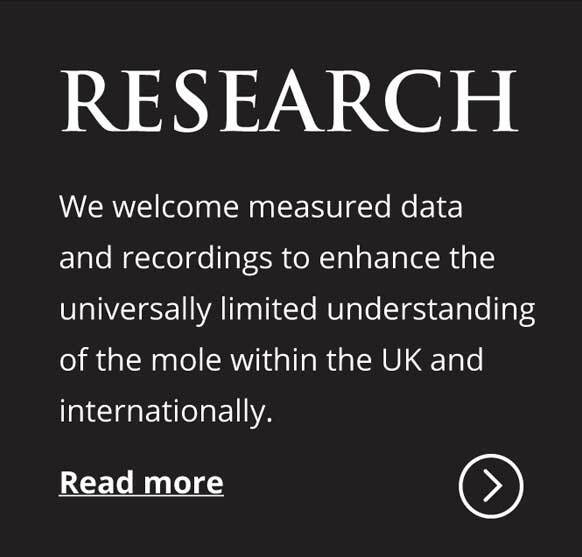 We welcome measured data and recordings to enhance the universally limited understanding of the mole within the UK and internationally.